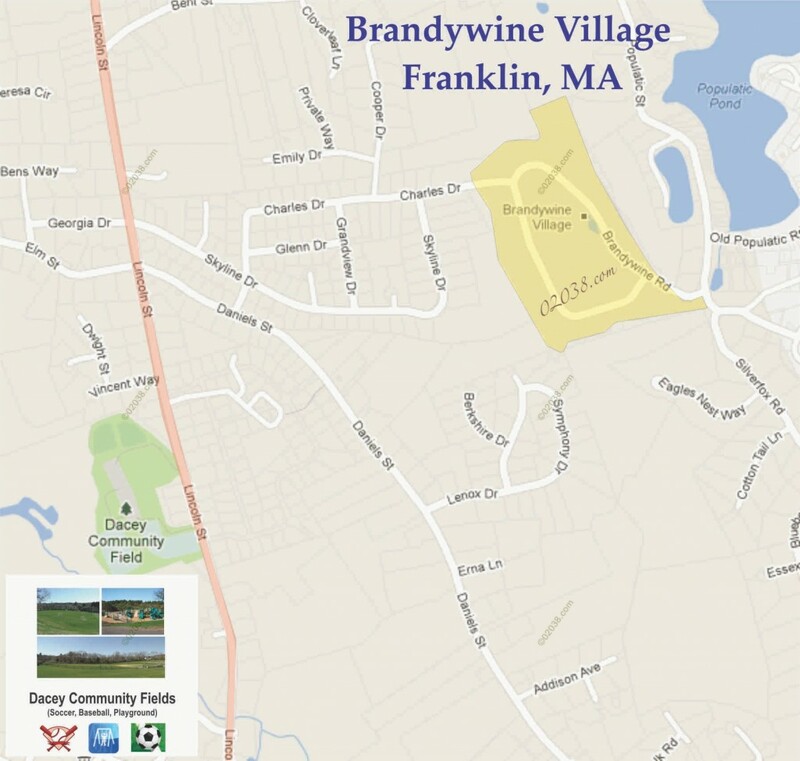 Brandywine Village is located on Brandywine Road in Franklin, MA. The neighborhood was created by Marinella Development and comprises 64 single family, detached homes on a 47 acre site. Brandywine Village is one of Franklin, MA’s youngest neighborhoods of single family homes. 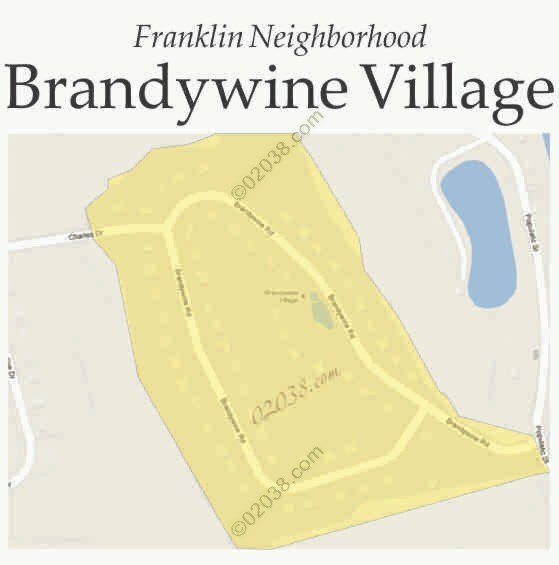 Residents of Brandywine Village enjoy colonial-style homes with approximately 2,600 – 2,700 sq ft living area (excluding finished basement space) on lots ranging from .40 acre to a full acre. This subdivision has underground utilities and public water and sewer service. 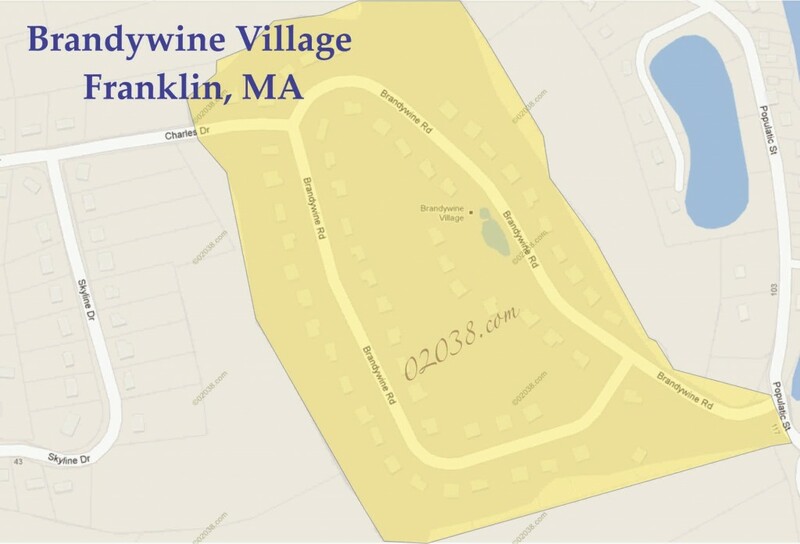 Brandywine Village is situated in the northeastern part of Franklin, Mass close to the scenic Populatic Pond – Charles River watershed. Access is via Lincoln Street through a pleasant subdivision of older homes. 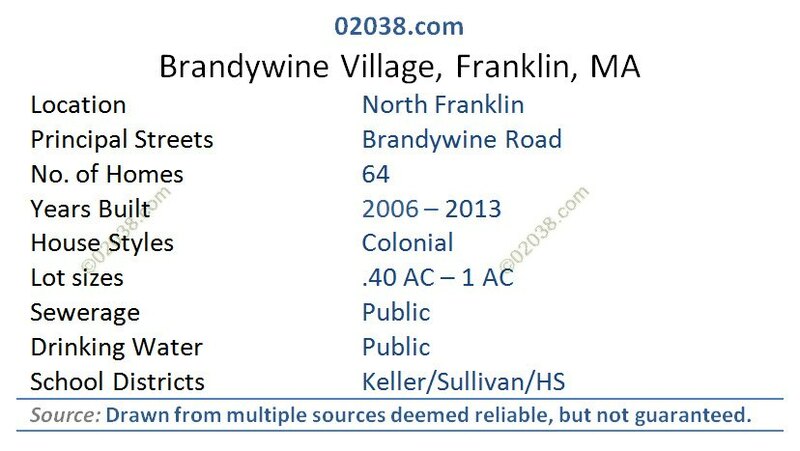 Alternate access to Brandywine Village is from Populatic Street. Prestigious Sandy Knoll Estates is close by. There’s plenty of good shopping opportunities near Brandywine Village. The closest shopping center is Medway Commons just to the north in Medway, MA, with more shopping and services clustered at Exit 18 off I-495 in Bellingham at Charles River Center, Stallbrook Marketplace and the Crossroads Shopping Center.